Difficulty: YDS class 2 (easy). This trip was made as a "detour" on my way home from the DD20 meeting in San Diego. My flights went from San Diego via Los Angeles to Guatemala City and then from Guatemala City via Miami to Frankfurt, then home. 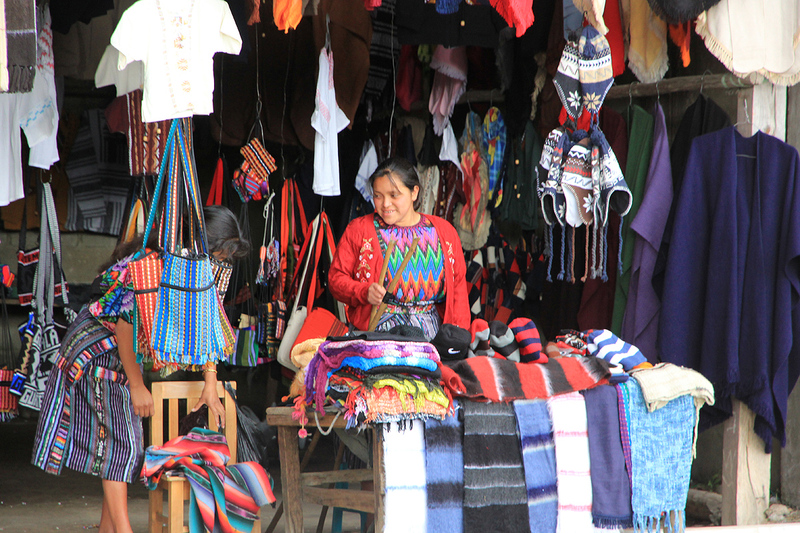 See this map of Guatemala for details and practical information describing my visit. 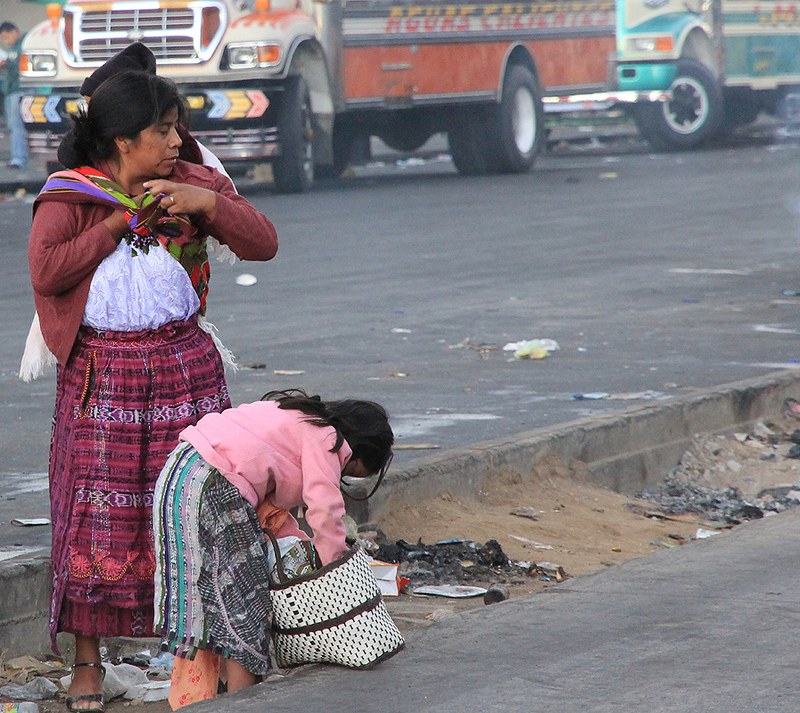 Most people will arrive via the international airport in Guatemala City (the capital). There is convenient accommodation within walking distance of the airport terminal. 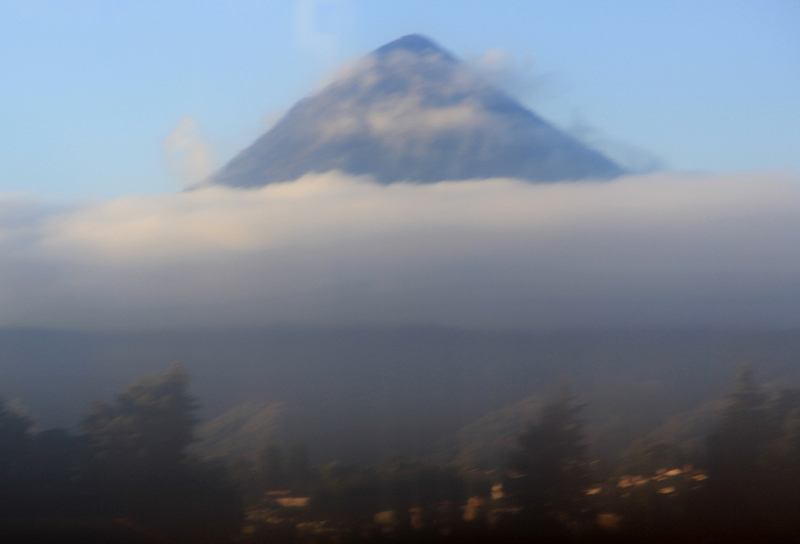 From the airport, one should travel to Antigua and further on to Xela. 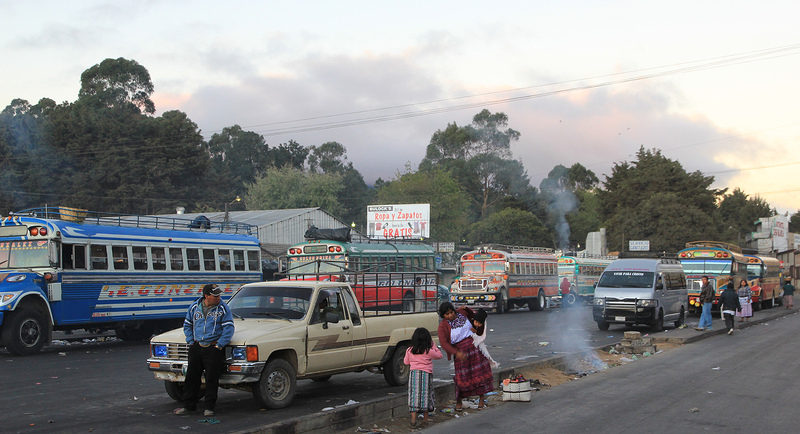 This city is also named Quetzaltenango, but it seems like everybody uses the shorter Xela. 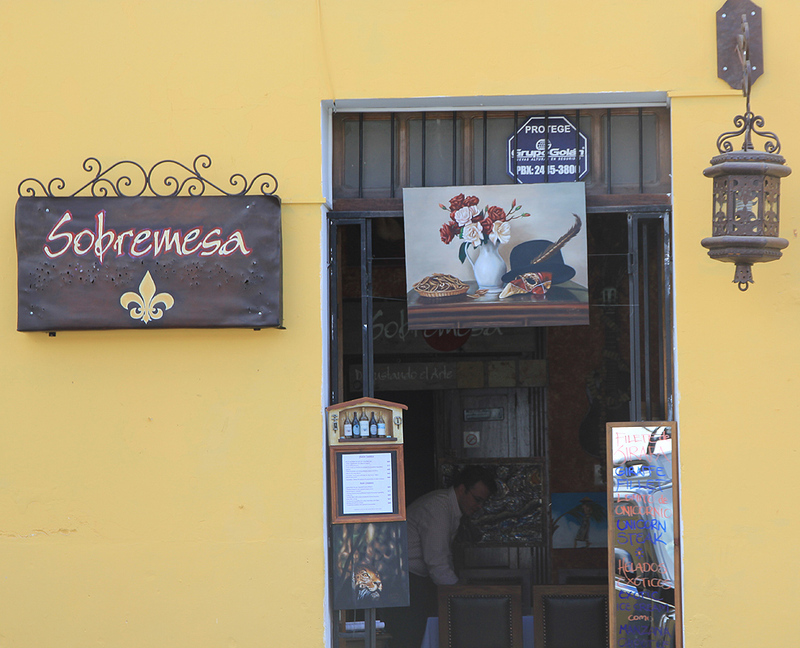 Xela is a large city with many possibilities for accommodation. 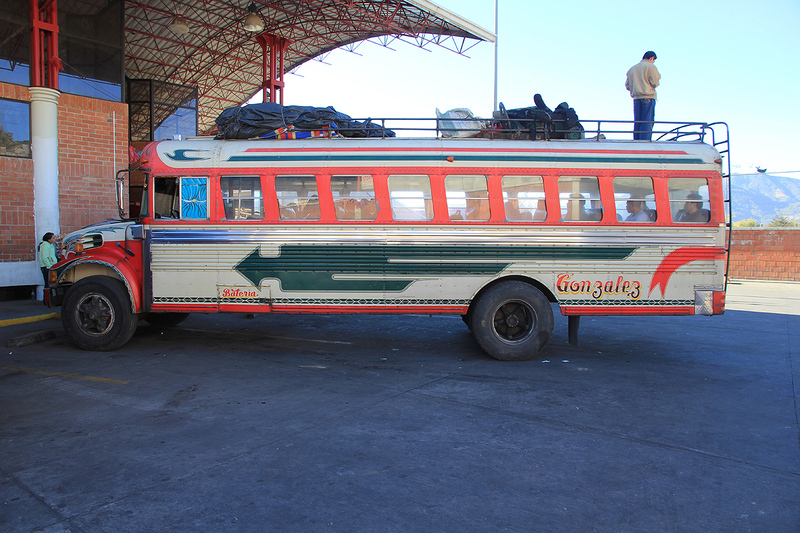 From Xela, one can travel by bus (or car) to San Marcos. From San Marcos, one can travel onwards to the trailhead. This is located at a distinct col overlooking a deep valley. 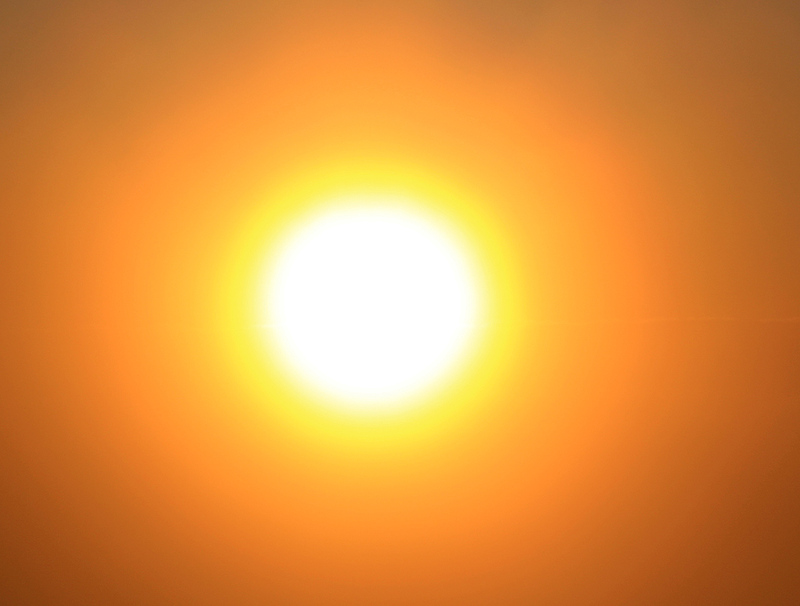 This location is N015:04.434, W091:52.207, elevation approximately 3050 meter. From the bus stop, cross the main road and head up the road paved with stones. 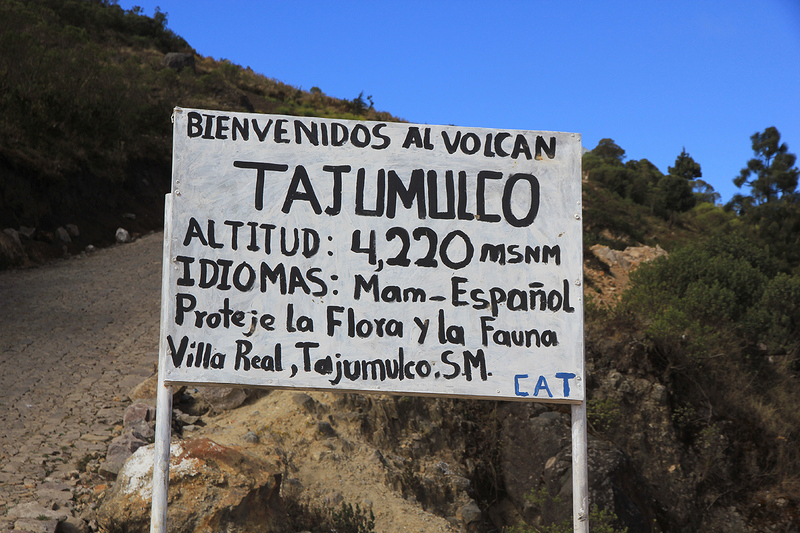 There is a sign welcoming you to the Tajumulco trail. The road climbs a local hill with a couple of houses, then descends slightly before it continues as a 4WD road up the main slope. 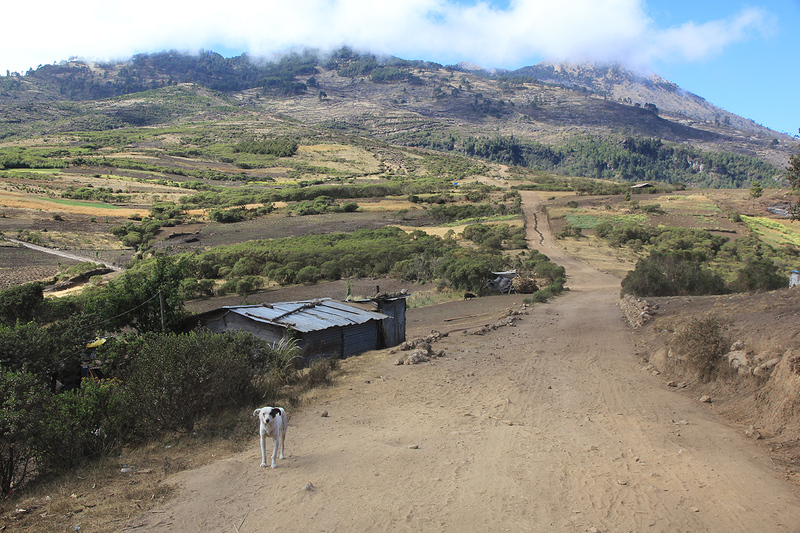 This road ends at elevation about 3390 meter. There is parking for a couple of cars here. 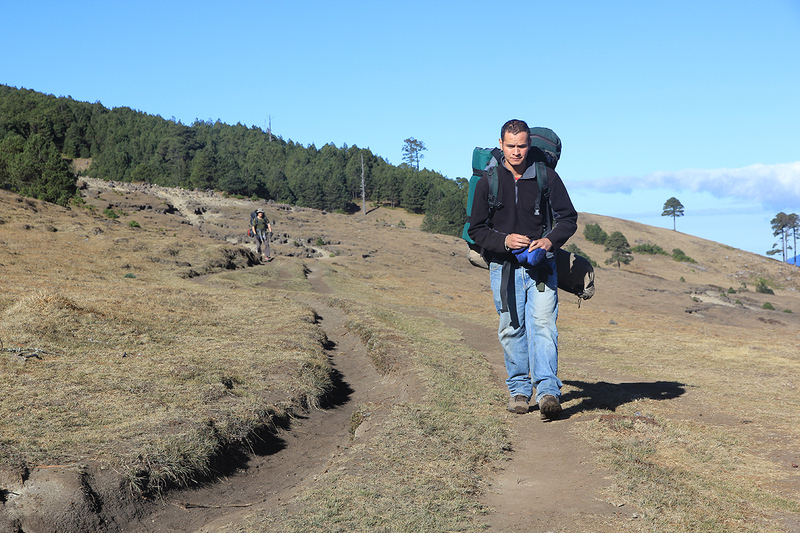 Continue straight uphill, there are several small variations, but the trail is always clear. Higher up, there is a short section where the trail climbs a bit more steeply before it tops out on a fairly flat field with grass. 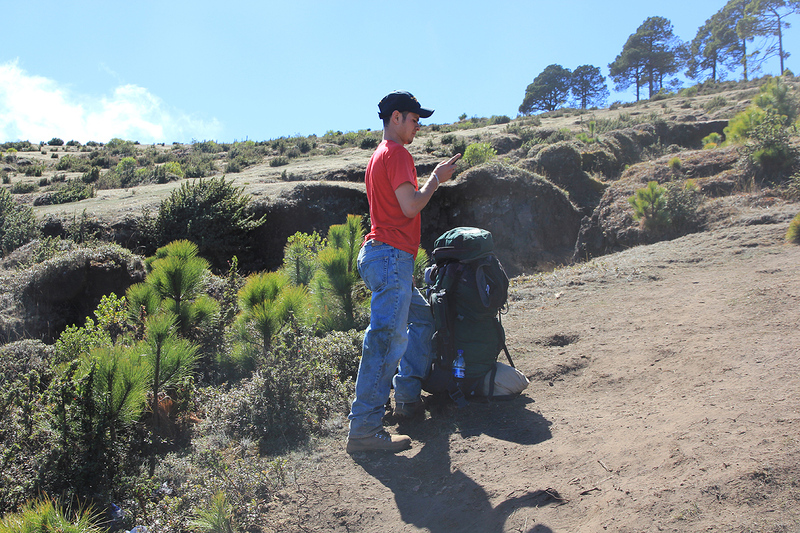 Continue across this flat area, then enter more forest and another slope that must be climbed. 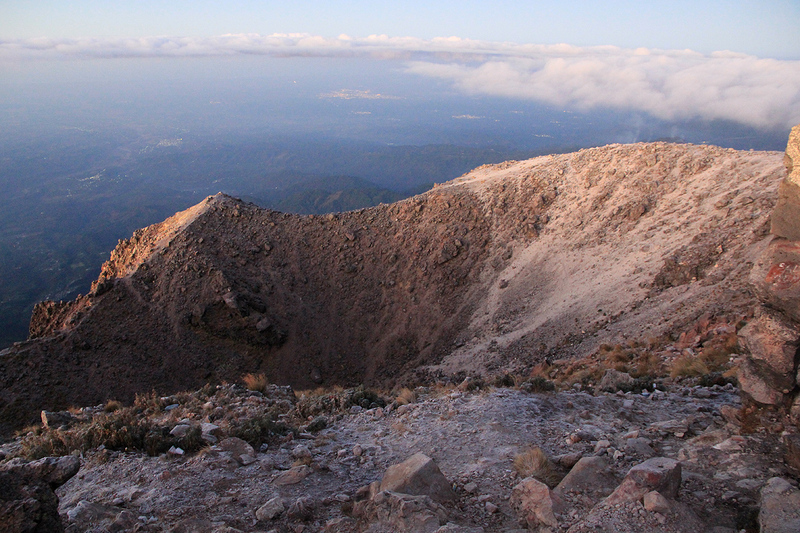 You will emerge onto a main crest that can be followed up to the base of the summit. 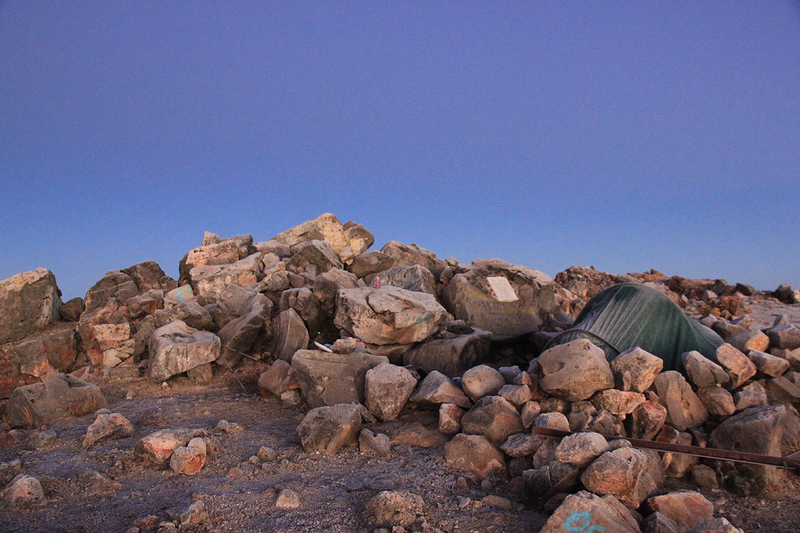 There is a ruin of a hut here, this is the area that is normally used as an overnight camp for this climb. 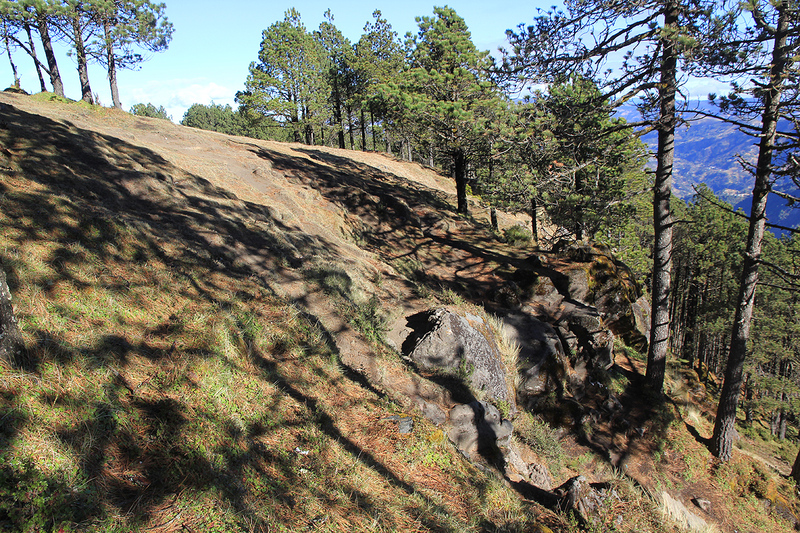 From here, the trail climbs more steeply under small cliffs to your right (when facing uphill). 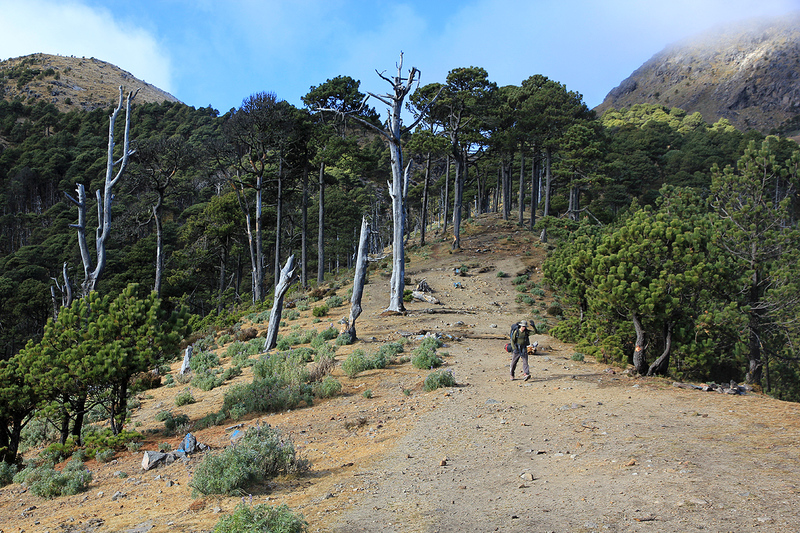 The route enters a fairly broad gully and follows it up and into a saddle between two parts of the summit. 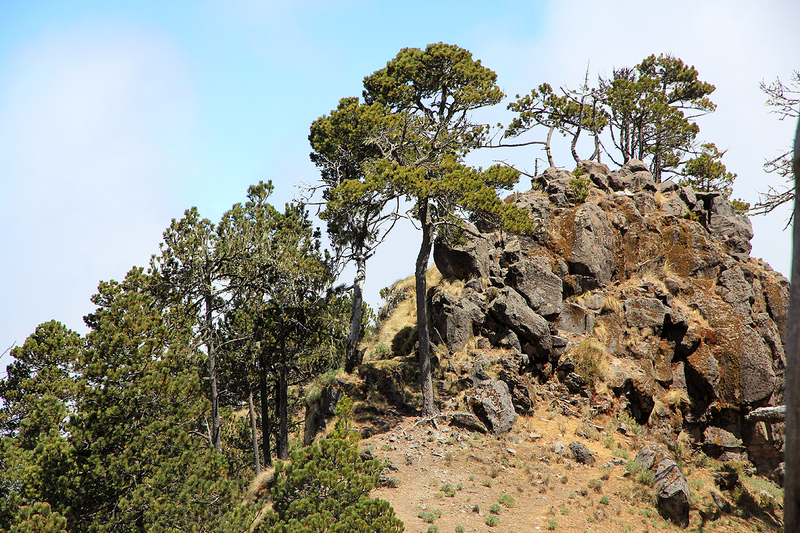 The highest area is to your left and a good trail traverses up and onto the main summit. A little further along is a pile of rocks of similar height. The old crater is visible directly below this area. 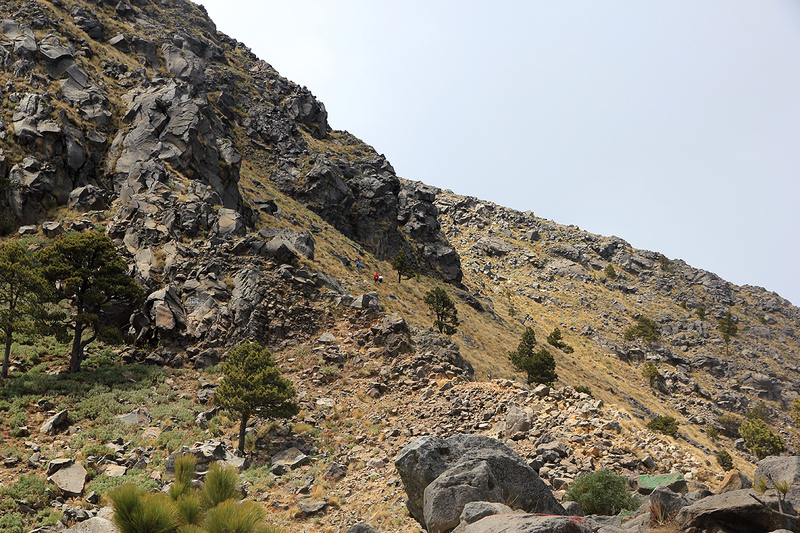 This climb has a trail all the way from the main road to the summit. 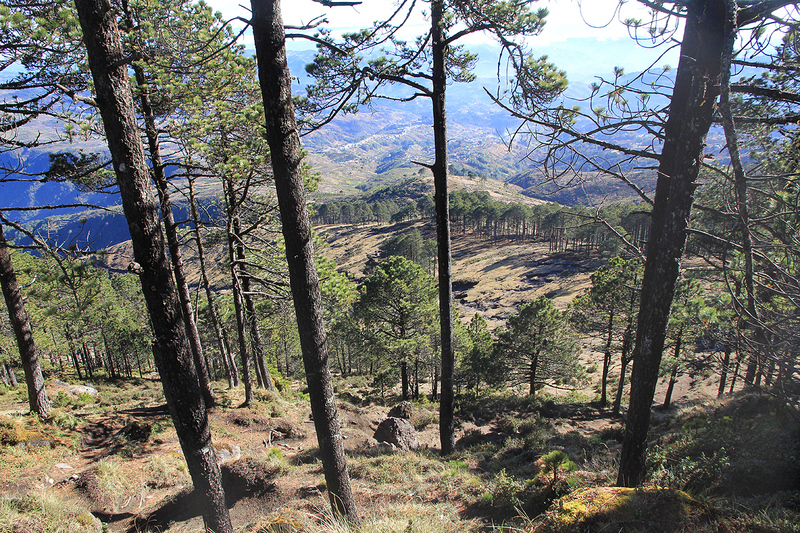 The last part of the trail is slightly steeper and the climb is therefore rated as easy (YDS) class 2. I organized this as a sidetrip on my way home from a conference in San Diego. At short notice, I was contacted by Adam Helman, he wanted to come along. This was easily taken care of since Adam was ok with following my original schedule. Adam arrived on February 11 and stayed in a quite nice hostel near the airport, waiting for my red-eye (overnight) flight arriving around 0700 on February 12. 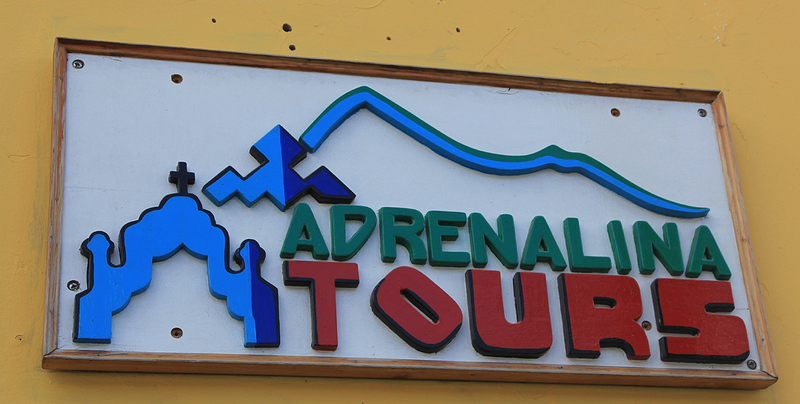 We travelled by shuttle (booked via Adrenalina Tours) to Antigua, where we conveniently could have lunch before our next shuttle would take us to Xela. 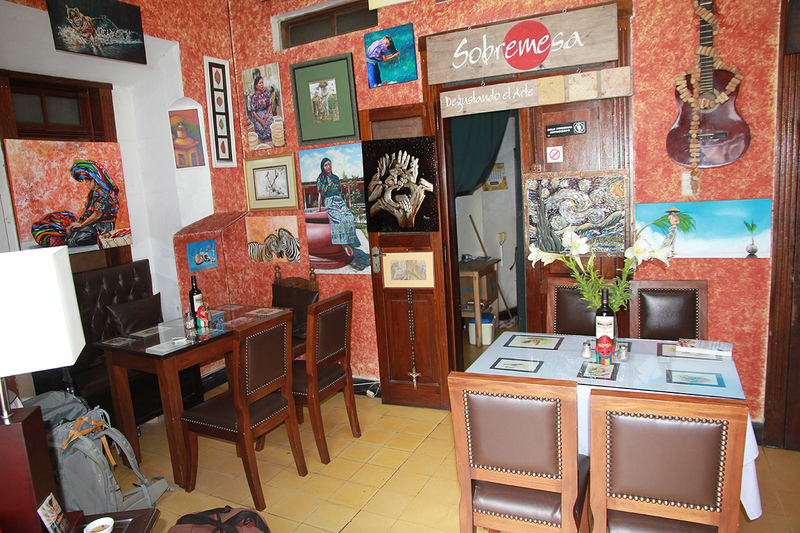 It turned out that the local Adrenalina office in Antigua is located right next to a small, but very interesting restaurant. We had an excellent lunch, the place can be highly recommended. 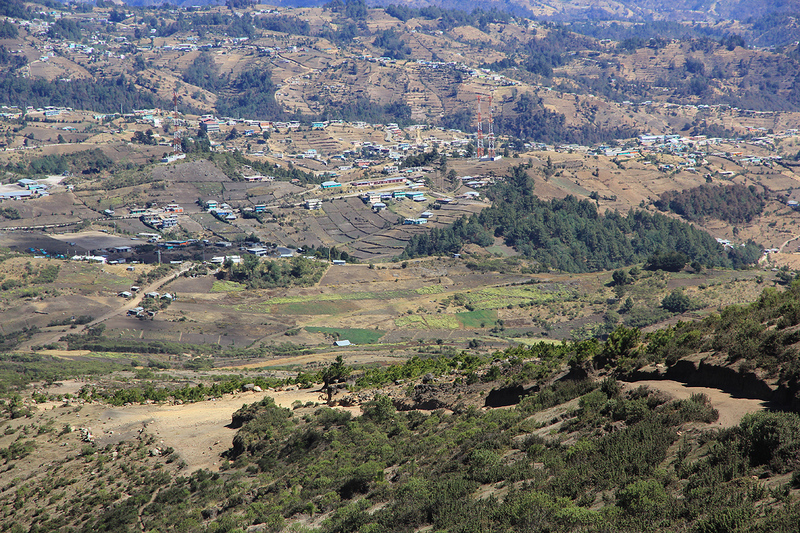 We travelled onwards around 1500 and arrived at our hotel Modelo shortly after 1800. This is a very nice hotel dating back to 1892, friendly and service oriented staff, again my best recommendations. We had dinner and met with my local contact Edwin (with Adrenalina Tours). He updated us on the latest schedule. In particular, he had organized the last part of Adam's trip. 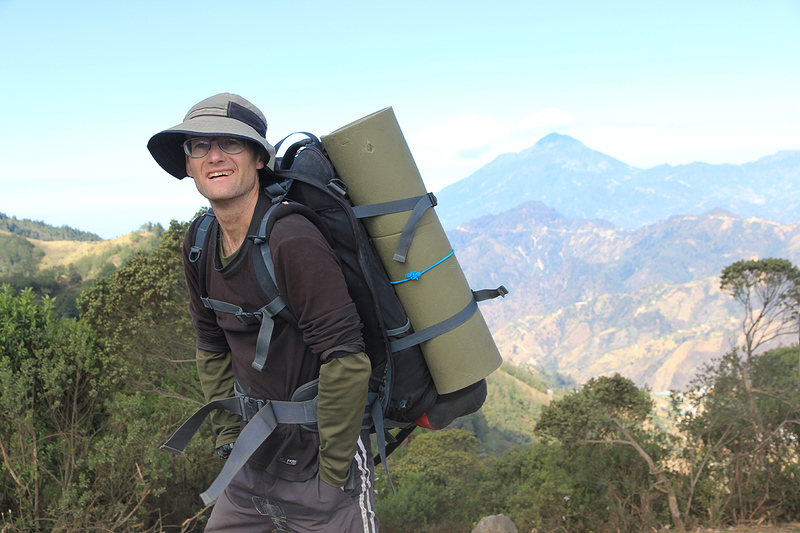 Adam wanted to stay 4-5 days longer and climb a couple of extra volcanos. 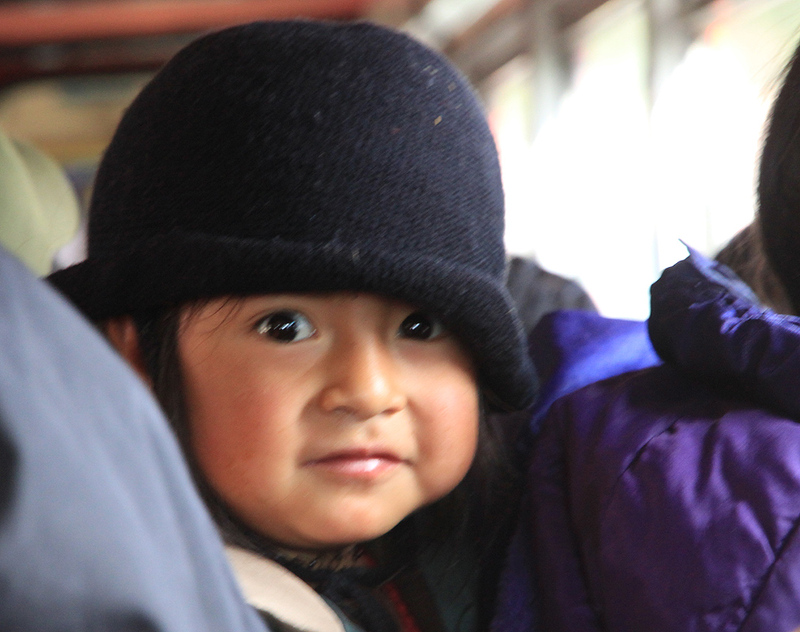 The next morning, we were picked up at 0600 and driven to the city bus terminal. Lots of people and many very nicely decorated busses, ready to take people to different destinations. We met our guide Heizer, age 30, we told him that we were from California and Norway, respectively. We boarded the bus for San Marcos, backpacks stoved on the roof. A newspaper boy came onboard and Heizer bought a copy of the local paper. The main story was about the upcoming Valentine's day and half the paper had pictures of Linda Brekkemoen, 23 years, from Norway, - Bella Vikinga, - red underwear. In a small frame readers could learn about Norway's population, area, currency and the name of our prime minister. Facts and figure, - quite out of proportion. The ride took a bit more than one hour, the road was quite good and also the view. 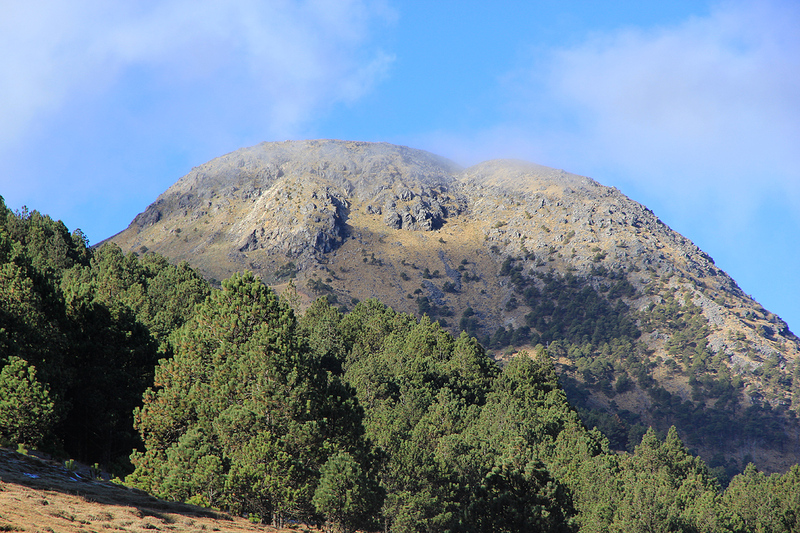 Volcan Santa Maria dominated the view on our left shortly after leaving Xela. The bus was quite full and such a ride is really an interesting cultural experience. Babys and small children, working people as well as seniors. After about 1:20, we arrived in San Marcos. 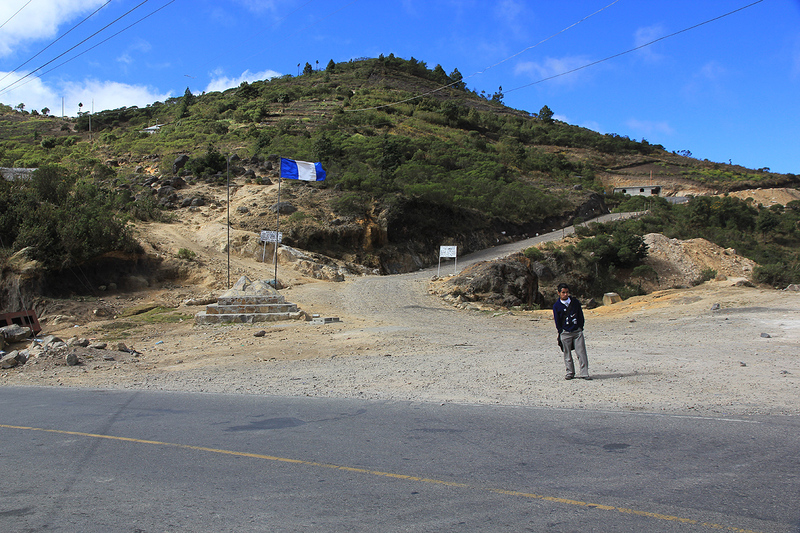 Transferring to a new bus, named (speedy) Gonzales, we were soon on our way towards the base of Tajumulco. This trip took about 1:15. People getting on and off, one man climbing up onto the roof with all kinds of luggage. He would often climb down at the rear and enter the bus through its back door, all while the bus driver coached his bus through sharp curves at high speed! We got off at the col and organized the packs for the climb. I carried 4 liter of water, a sleeping bag and a rolled matress for sleeping, then a pretty heavy bag of food. It turned out that this bag contained juice and milk plus various breakfast options, in all several kilos. Heizer carried the tent, more water, cooking gear plus dinner, clearly the heaviest load, most likely about 25 kilo. We started hiking at 0955 and made good progress up the hill, arriving at the place where parties make their camp at 1225. We had planned to sleep at the very summit. 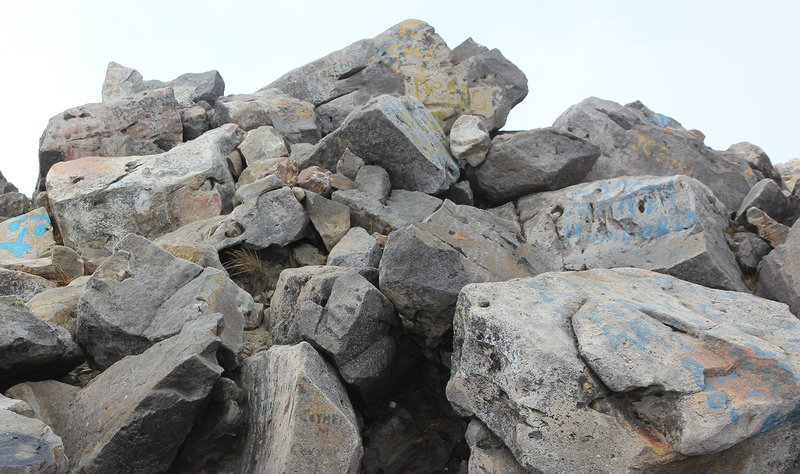 Heizer told us that he had climbed this peak more than 100 times, but never slept at the summit. Edwin had suggested this the previous evening, assuring us that there was no thunder at this time of the year. We finished lunch at 1305 and carried our loads up to the summit in 35 minutes. We had wind and clouds, no views, however by staying at the summit, we should have an excellent chance of some good vistas early the next morning. In the early evening, the wind picked up and quite surprisingly, thunder. 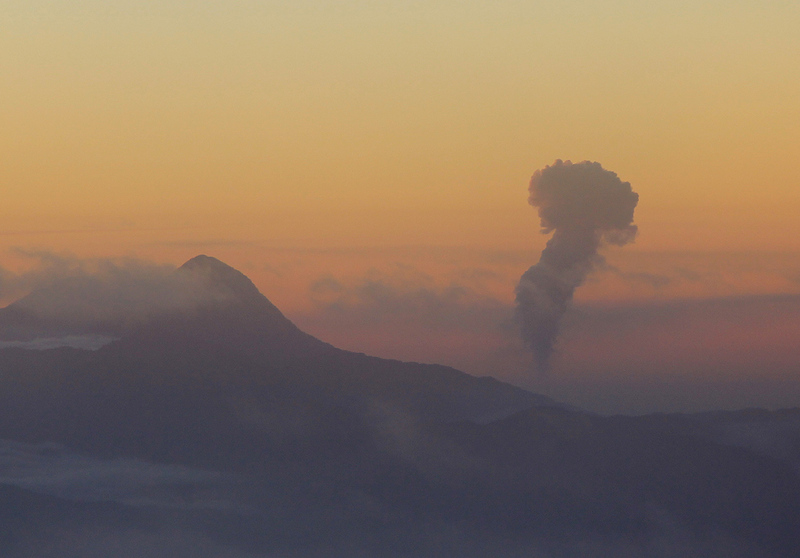 For a moment it seemed as if the mountain wanted to show her visitors that camping at the summit might not be such a good idea. 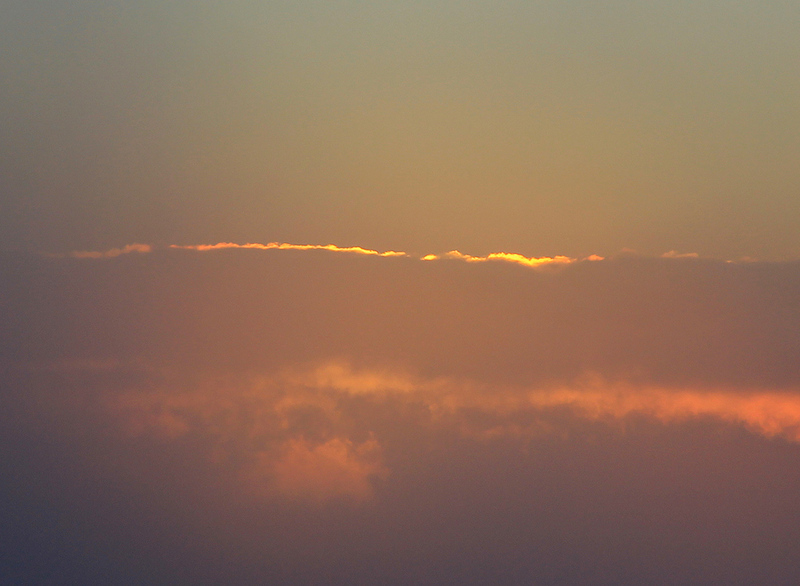 The thunder did not produce any visible lightning, most likley this was cloud to cloud and not cloud to mountain (top). The next morning came with traces of frost outside the tent. 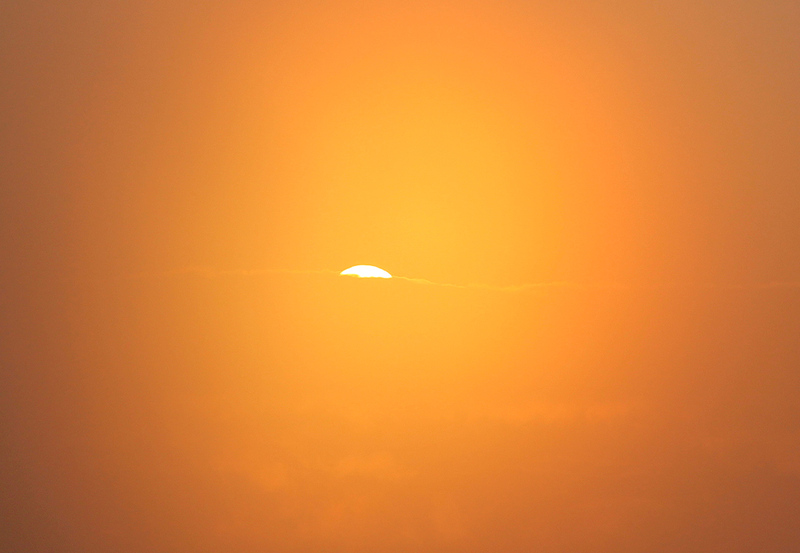 I was up at 0600, about 30 minutes before sunrise. 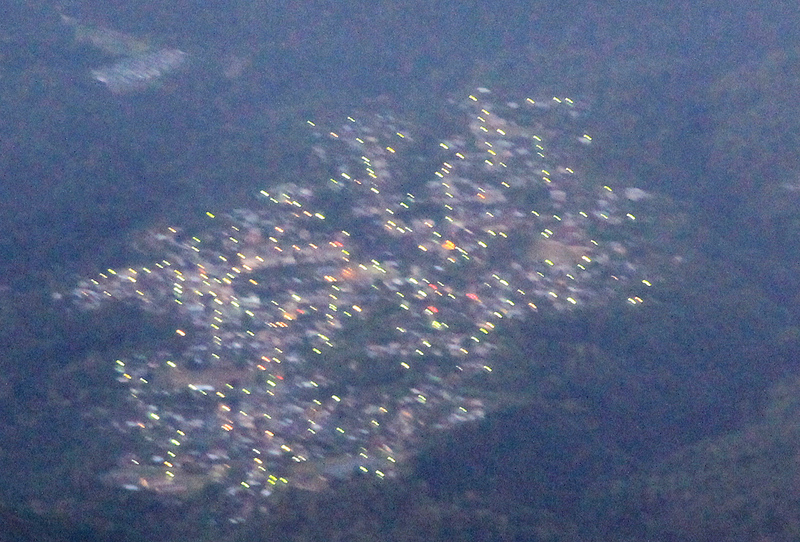 It was clear and I could see more or less directly down at a small village. 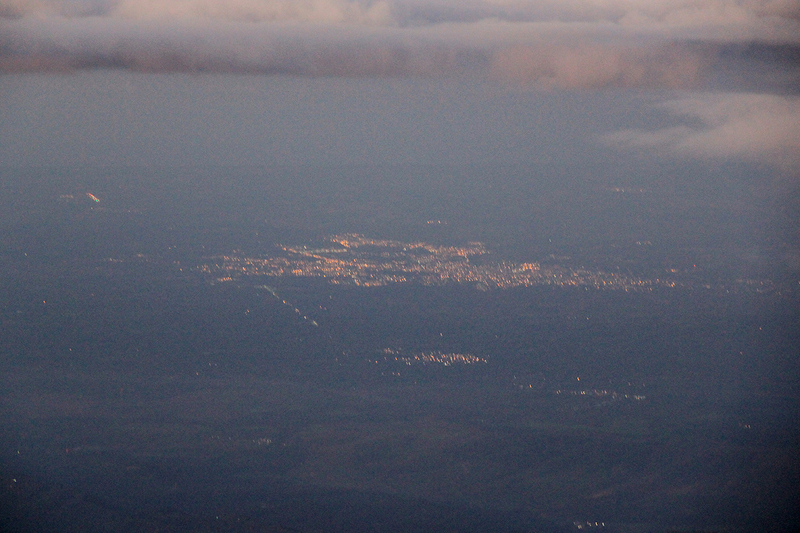 Further behind, a larger city in Mexico. Unfortunately, the clouds came rather quickly and views were somewhat limited. 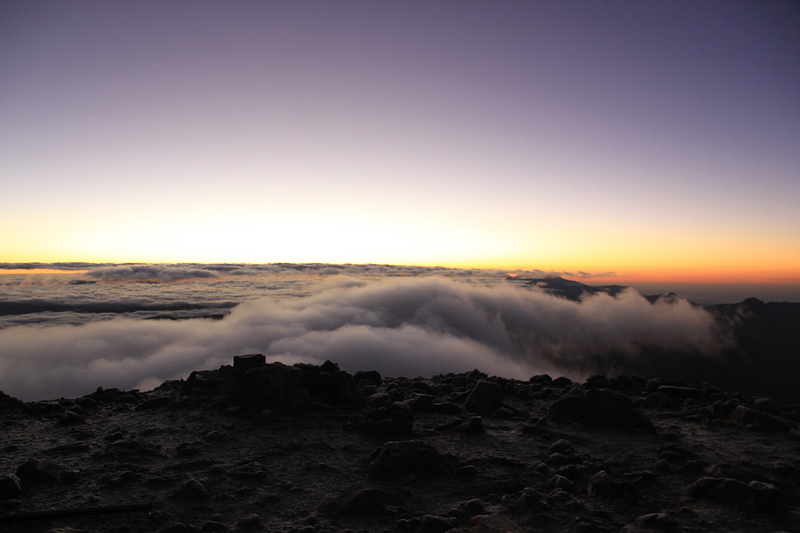 We were more or less above the clouds and could still enjoy the changing lights as the sun broke through and gradually achieved its full strength. 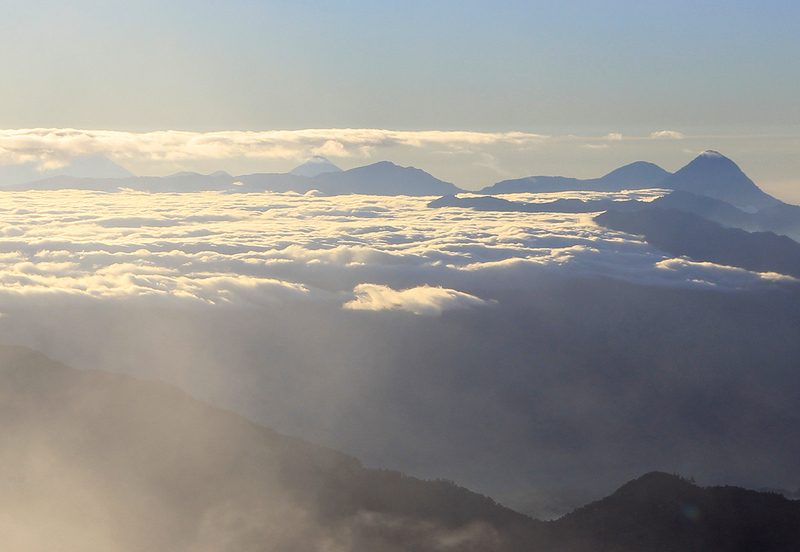 Several volcanos were visible above the clouds, giving us a distinct feeling of being in a high place. 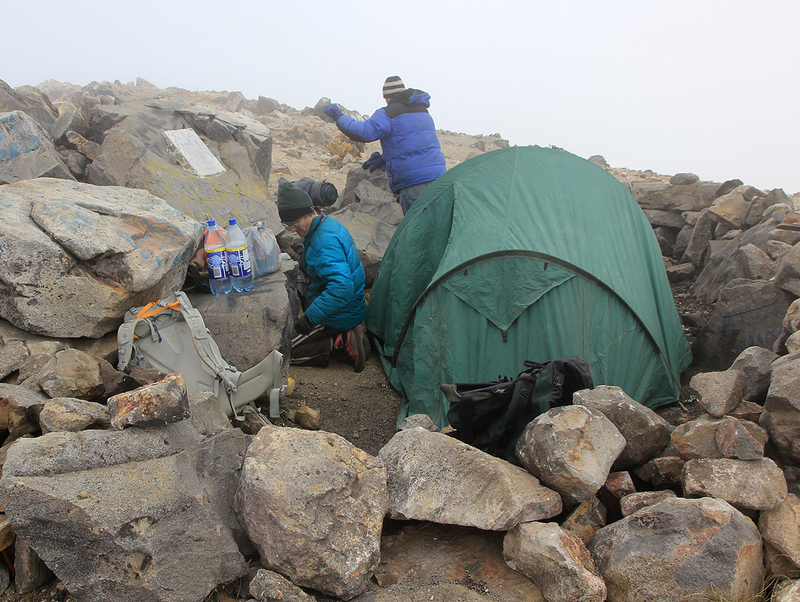 We had breakfast, cleaned out the camp and headed downslope around 0730. We were down by the main road shortly before 0930 and a bus showed up within 5 minutes. This bus was already overcrowded and the driver did his best to make the bus roll off the road in every curve. He maintained an insane speed and I was busy hanging on to the metal rail running under the ceiling. The bus was litterally diving into the curves, horn blasting its warning to possible oncoming traffic. In former days, this was a yellow American schoolbus driving carefully to and from some school. In its new life, a heavily decorated road monster thundering along narrow Guatemala roads overloaded with people and all kinds of cargo. We arrived in San Marco having covered the distance about 20 minutes faster than the opposite travel. 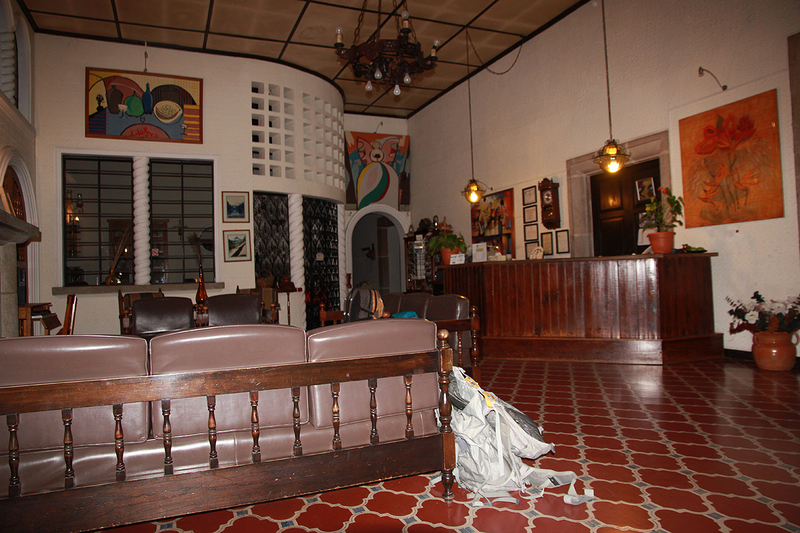 We returned to Hotel Modelo and reorganized gear before another nice lunch at a place serving original Guatamala fare. At 1500, our shuttle departed for Antigua and a new night, this time in hotel Quinta de Las Flores. Having succeeded without any delays or unforeseen complications, our schedule permitted an extra climb before returning to the airport. 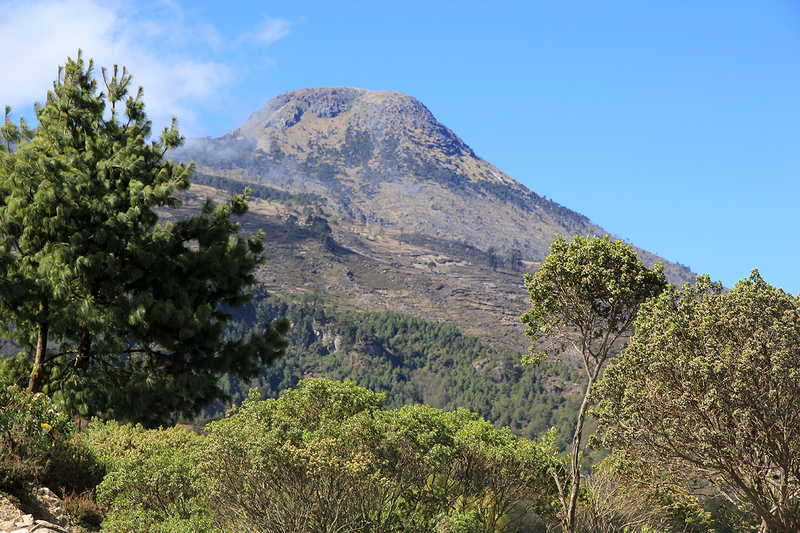 My choice was Acatenango, a high volcano located near the tourist city of Antigua. 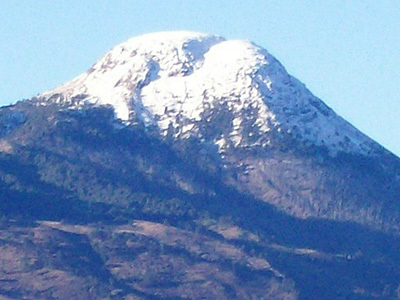 Tajumulco as seen from the trailhead. View back down, as we ascend the lower part.